Hello. …You get the picture…he wasn't my best choice of a partner. I do not regret leaving you. It was what I had to do. To where I do not know. 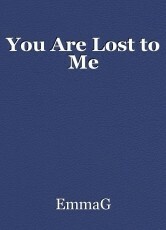 You are lost to me. Go away and let me be! © Copyright 2019 EmmaG. All rights reserved. This page was created in 0.3967 seconds.